The new Greenery Productions truck looks AMAZING! We are all so happy with the way it turned out and we are excited to drive it all around town. Thank you so much for your assistance on this project. You were so great to work with and made the process so smooth and easy. I had originally planned to have the truck completed in early June and with your help we were able to get it finished with almost a whole week to spare! It was a pleasure working with you and your teamâ€¦. and I look forward to working again with you soon. 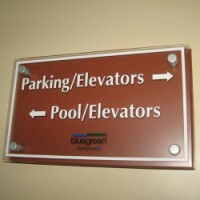 As a member of the Central Florida Hotel & Lodging Association, we have designed and created many signs to fit the needs of the area's hotels and resorts. From business cards and comment cards to directional signs to larger-than-life graphics and murals, Sign-A-Rama Southwest Orlando can produce the sign that is right for your hotel or resort.